Some people avoid getting braces because they don’t want to have a mouth filled with highly visible metal. This is especially true with teens. One of the big benefits of Invisalign is that they are far less noticeable. This is true when it comes to pictures as well. 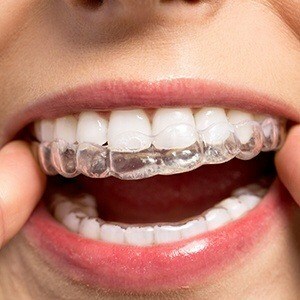 These clear braces could be a good choice, and this is just the start of their benefits. Patients tend to find that the Invisalign braces are comfortable in comparison to traditional braces. They are still moving your teeth into place, but they don’t run the risk of damaging teeth like metal braces. 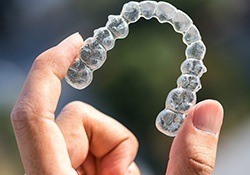 Another one of the benefits of Invisalign is that you can remove them when needed. If you are eating, for example, simply remove the clear aligners. You will still need to wear them between 20 and 22 hours per day. While it might take four to five years for braces to work properly, the Invisalign system can work much faster. In fact, it can often work in about a year and a half.